Although 2013 was a great year at the movies, viagra it did have its low moments. From an A-list cast that somehow agreed to make a crass and unfunny comedy to a two time-Oscar winner who starred in two films that reminded viewers of how far he has fallen, case this year had its share of stinkers. With that in mind, sales here’s my list of the ten worst movies of 2013. Unfortunately, a few of these stories listed here will– gulp– continue in planned sequels in the years to come. 10.) Planes: While one Disney production exceeded all of my expectations (you’ll find out which when my top ten list is posted), a fellow Disney film lands squarely as the 10th worst movie I saw in 2013. Planes, with voice talent including Julia Louis-Dreyfus, Dane Cook and Brad Garrett, was a lifeless, unfunny and uninspired film about a cropduster plane’s attempt to beat the odds and become a success racing plane.There was nothing in this wannabe inspirational film that made it stand out from other similarly-themed movies and there were few– if any– laughs in this family film that should have been packed with them. 9.) Runner, Runner: Early on in 2013, Ben Affleck defied expectations when his 2012 drama Argo won best picture at the Oscars, despite his exclusion from the directorial race. 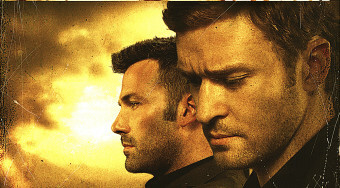 Only a few months later though, Affleck defied good taste and appeared in the crime drama Runner, Runner as a con man who manipulates and controls a young associate (played by a wasted Justin Timberlake). The talented director behind The Lincoln Lawyer and the smart writers of Rounders worked together on this blatant Firm– ripoff that offered nothing to the genre. These actors deserved better and so did audiences. Check out my full review here. 8.) 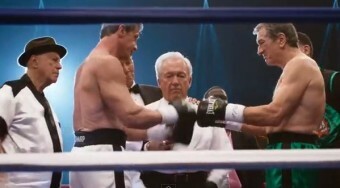 Grudge Match: A match made in heaven, this bout turned into a crass and obnoxious mess. 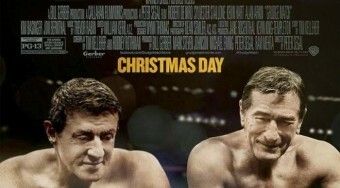 Starring Robert De Niro (Raging Bull) and Sylvester Stallone (Rocky), this would-be fun time at the theater was ruined by its atrocious script and its eagerness to relegate fine actors (including Oscar winners Alan Arkin and Kim Basinger) to mediocre supporting roles. Check out my full review here. 7.) Baggage Claim: One of the most creatively-inert films of the year, this comedy focuses on a flight attendant named Montana Moore (Paula Patton), who is looking for Mr. Right. She searches for him by tracking down her ex-boyfriends (with the assistance of her two superficial friends) and attempting to reconnect with them. As subtle as a jackhammer, this feature borrows some of the most egregious romantic comedy cliches and bundles them together in a film that feels as fresh as month-old milk.. Check out my full review here. 6.) The Family: Two-time Oscar winner Robert De Niro sadly appeared in two of the worst movies of the year, appearing in The Family as a retired mobster in the witness protection program alongside fellow Oscar winner Tommy Lee Jones. This wannabe comedy attempts to show what a mob family would be like after being forced into a more quieter existence. Instead, it settles for showing a psychotic family seeking vengeance on any people they don’t like with few laughs attached to it. A must-miss. Check out my full review here. 5.) The Hangover Part 3: The original Hangover (2009) was a surprise hit when it was released and actually was one of the funniest movies of that year. Its sequel simply attempted to replicate its formula and suffered accordingly. But it was the third film that truly showed how far this franchise had fallen. Packed with cruelty (violence to animals and humans) and characters that lacked any redeeming qualities, this comedy proved that some successful movies are better left without any follow-ups. Check out my full review here. 4.) Hansel and Gretel: Witch Hunters: Clocking in at under 90 minutes, this January drama still feels long. The film focuses on Hansel (Jeremy Renner) and Gretel (Gemma Arterton), two witch hunters who face off against evil whenever they see it. Unfortunately, the script falters– telling a boring story about their battle against the evil Muriel (Famke Janssen)– and the nauseating graphic violence becomes tired quickly, leading to more disgusting images than are necessary in what should have been an entertaining motion picture. 3.) Grown Ups 2: In this follow-up to the 2010 comedy, most of the cast returns with the same potty humor that defined the original. There’s little plot here as the story showcases a bunch of miscellaneous sketches starring cast members Kevin James,Chris Rock, David Spade and Adam Sandler. It would work if the humor did but its reliance on gross-out comedy and urination jokes grows dull seconds after the film begins. 2.) The Mortal Instruments: City of Bones: A wannabe-Twilight ripoff, this science fiction drama clocked in at a whopping 130 minutes. After twenty minutes, I was looking for the exit. This drama features Lily Collins as a teenager, who realizes that she has special powers to fight demons. If only her powers had included the ability to help write a better story, this film might have been much better. 1.) Movie 43: When great actors are awarded for a lifetime of performances, a credit reel is often created to showcase their finest works. Despite its A-list cast, Movie 43 will likely not be a film that actors like fine actors Kate Winslet, Hugh Jackman, Naomi Watts, Emma Stone etc. will want anywhere near their credit reels. This disgusting and vulgar picture offered gross-out moments but no laughs to go with them. It’s a shame that this cast of Oscar nominees and winners (including Halle Berry and Winslet) agreed to star in this series of unfortunate and gross short vignettes. Easily the worst film of the year. Check out my full review here.